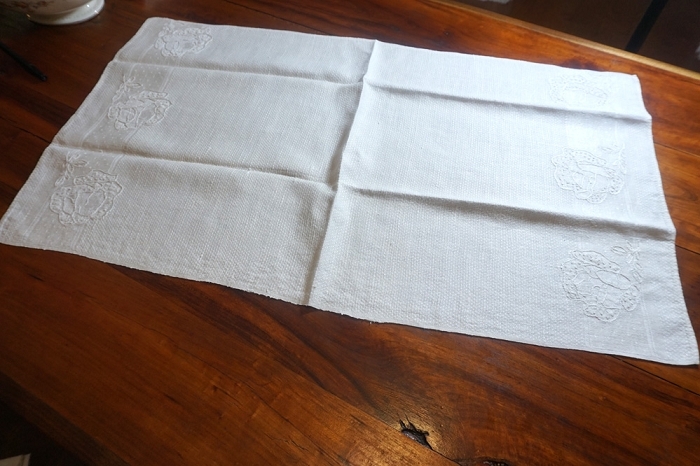 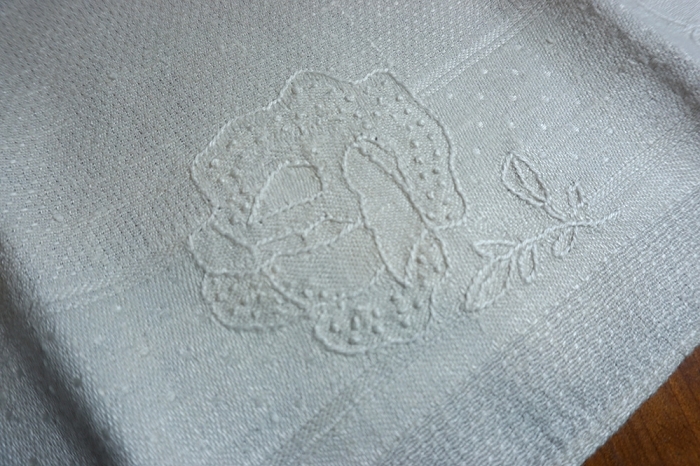 This towel features a white on white rose embroidery and appears unused. It's large for a dish towel at 18" x 30" so it may actually have been an early bath towel. 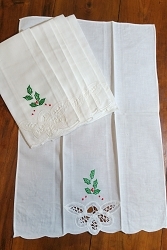 Simple yet quite lovely.